Bank faces criticism days after Texas Senate passes anti-BDS bill that will proceed to the chamber of the Texas House of Representatives. “Chuck Lindell from the American-Statesman paper reported that the Texas Senate passed the bill opposing BDS (Boycott, Divestment and Sanctions) by a 25-4 vote and that it was sent to the Texas House of Representatives for a vote. 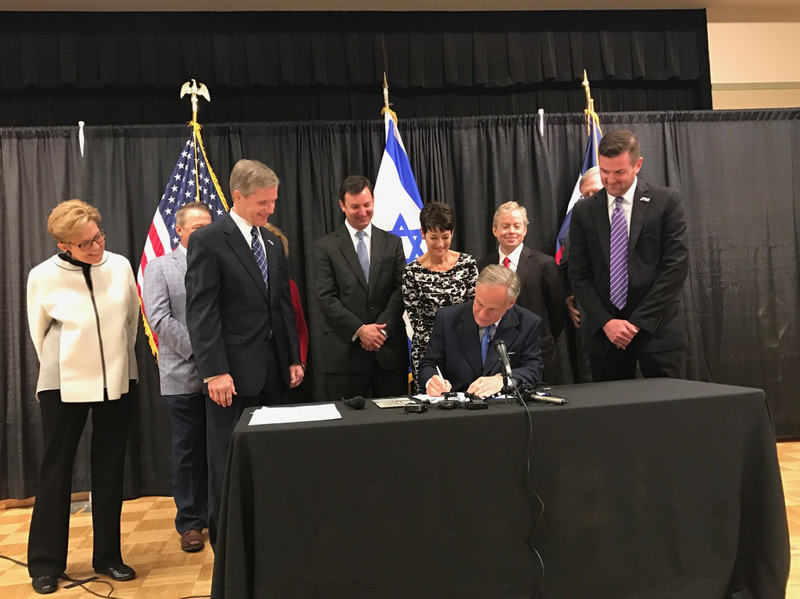 “No senators spoke in opposition to [bill] SB 29 before the vote,” the paper reported, adding that the bill’s author, Sen. Brandon Creighton, said Texas should not do business with companies that participate in the BDS movement. … Charles Kaufman, who chairs B’nai B’rith’s International Center for Human Rights and Public Policy, delivered testimony in the Austin legislature in support of the anti-BDS bill. Kaufman, who lives in Texas, said, “In another time, in another place in history, people who wanted to rid the earth of the Jewish people boycotted their businesses. Filled with fear, these good citizens, stripped of their possessions, separated from their families, would subsequently fill boxcars… and you the know rest.” (As he trots out the holohoax when it’s financially convenient.) NOW THEY ARE BOYCOTTING OUR BUSINESSES. As of January 2018, 24 states have enacted anti-BDS laws (precursor to antisemitic laws). SB 29, the alleged ‘anti-discrimination’ support for Israel – giving the jews in our government the tool to target, criminalize, penalize and ultimately suppress ANY AND ALL criticism, now corporations, colleges but soon, individual expression!!! Not even our president has that right – nor our Texas governing body. Do you in Austin realize what you have done! You have laid the groundwork for stripping us of our right to freedom of expression with the #1 psychopaths on the planet. And THAT statement alone that I just made could get me in trouble, right? My opinion? The bill of rights doesn’t count anymore? You know, freedom of expression? I’m appalled to tears that my state should be one of the 5 who would be the first to bail, buckle and forfeit such protections. How could you do this?! You signed away our freedom of expression in your state. The law not only prohibits criticism of the BDS movement but it also lays the groundwork for penalizing us for criticizing the psychopathic practices and government of Israel that also includes numerous activities in our country as well. I can’t believe how appalled I feel right now about you and your government. I thought Texas would stand against Free Speech encroachment but instead you’ve welcomed it with open arms. It saddens me to say I will no longer be supporting you. Nor is Texas a place to go to exercise your Bill of Rights freedoms. You have betrayed and slayed us. * She is an international teenage internet sensation, BANNED by Twitter and YouTube after over 2 million video views in 8 months! * She was such a well-known Nationalist celebrity at the time she was BANNED, that the story was covered by European television programs. 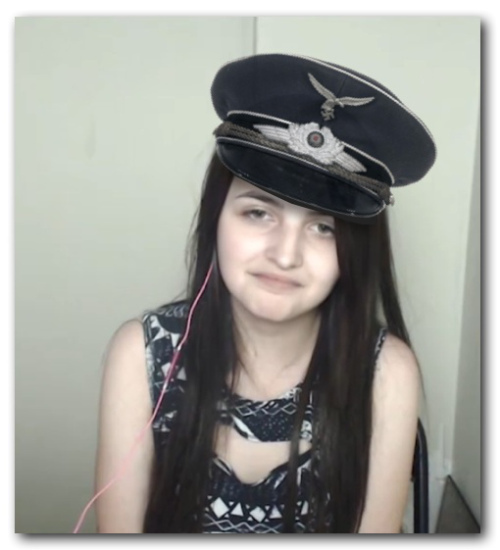 * Her clever, sassy, engaging YouTube videos on immigration, National Socialism, pedophilia, the “gay” agenda, and more, are awakening a new generation… and threatening ZioMarxist entities committed to maintaining their oppression of the general population. * Most recently, she was the victim of Canada Border Service harassment, with unwarranted confiscation of her laptop and personal journals, followed by an 8 hour detention! * She is the latest and most high-profile target of B’nai Brith censorship. Evalion will speak on the topic of “How I Became a YouTube Rebel & How to Disseminate Our Nationalist Message to a New Generation”. DATE: Tuesday, November 22, 2016. 8:00 p.m. ADDRESS: 163 Main Street, just south of Gerrard. Toronto, ON. It is a 5 minute walk south of Main Station on the Bloor-Danforth Subway line. Muslim Press has conducted an interview with Professor Anthony J. Hall. He is currently Professor of Globalization Studies at University of Lethbridge in Alberta Canada. In what follows, the full transcription of the interview has been given. Muslim Press: How have you encountered B’nai Brith Canada? What’s your take of this organization? It was something of a revelation to see these weaponized words all grouped together as a set. To be accused of any one of the four terms, it seemed, implied that all the weaponized phrases were equally applicable. No definitions were given by Mr. Foxman and no real evidence was put forward, only inflammatory sound bites meant to harm and discredit generically all those who attended the New Horizon conference in the capital of the Islamic Republic of Iran. For me the conference resonated ironically with the energy of ideas that I had previously associated with the vitality of the European Enlightenment. I embraced the recognition all us delegates were being receiving as in “independent thinkers.” Apparently the administration of the University of Lethbridge right now is not too open to independent thinking. Among my fellow delegates whose reputations I knew of but had never before met were Wayne Madsen, Pepe Escobar, Thierry Meyssan and Sheik Imran Hussein. Together about 60 of us were able to verbalize calmly and rationally subjects that would have been very difficult to address in the West in venues like academic conferences. I participated in the panel discussions on several subjects, including analysis of the lies and crimes of 9/11. We get so much propaganda in the West about the Islamic Republic of Iran and here I had been able to see with my own eyes and hear with my own ears how the media spin did not conform with the reality. Our hotel was on the edge of a large urban park so I was able to see something of the everyday civic life of those using the park for sports and recreation and courting and family picnics and all the normal activities of day-to-life. This park provided me with a window into a society that seem safe and secure and stable for the majority of the citizens, some of them non-Muslims of various faith backgrounds. B’nai Brith Canada is the local branch of the same international operation led until recently by Abe Foxman. His annual pay was about $1 million per annum, or at least the part we know about. The Canadian B’nai Brith is, like the other branches of this international Israeli-based network, extremely well funded and formally dedicated to “advocate for the security of Israel.” The ADL of B’nai B’rith, Canadian version, is therefore essentially an extension of the Israeli government. It operates in Canada within many of our core federal institutions and especially within, as I now know from personal experience, the apparatus of Canadian policing, national security and so-called law enforcement. Police and federal incorporation of the B’nai B’rith apparatus of a foreign power, an Israel First organization, I think runs dramatically counter to the requirements of the Canadian national interest and Canadian sovereignty. I would say I started feeling the presence of the B’nai Brith in and around my academic work in August of 2015. It started during a book promotion tour involving the text edited by Dr. Kevin Barrett, We Are Not Charlie Hebdo. I have an article in that book. Dr. Barrett, his wife, his two mature sons, his big dog and I toured the province of Alberta doing presentations in Lethbridge, Calgary, Jasper and Edmonton. In the prelude to the Edmonton presentation B’nai Brith’s Amanda Hohmann contacted the manager of the venue asking that the event be cancelled. That manager, a Muslim man himself, subsequently played me back Ms. Hohmann’s taped telephone message wherein she alleged Dr. Barrett is a “holocaust denier” and a 9/11 denier.” Of course she offered no evidence. When the venue manager refused to adhere to Ms. Hohmann’s request that the event should be cancelled, the B’nai Brith apparently contacted the Edmonton police. The B’nai Brith also called the Calgary and Edmonton police when the Joshua Goldberg image was made to appear on and then disappear from my FB page in late August of 2016 without my being made aware of what was going on. I will return to that subject below. A member of the “hate speech” squad did attend our book presentation in Edmonton in 2015. This was the first time I have ever witnessed such a spectacle in Canada. I recall asking myself, is this what we can expect for the future of University education in Canada? Is it our future as educators to be monitored for so-called so-called “hate speech,” ultimately under the authority of the B’nai Brith? The B’nai Brith already seems to wield various forms of state authority in Canada as evidenced most recently by the influence that B’nai Brith Canada has been able to exercise over the administration of the University of Lethbridge. The organization almost seems to be invested with police powers at all levels. Jump ahead to recent days and my suspension without pay, all done without any due process of evidence-based arbitration whatsoever. In the words of Andrea Amelinckx. President of the University of Lethbridge Faculty Association, “We protest the illegal action on the part of President Mahon and the Board… The President’s action violates provincial law and contravenes the University contract with its Faculty.” (Oct. 7 statement) It seems the B’nai Brith in Canada is capable to asserting major pressure even over high-ranking officials like university presidents forcing them to violate Canadian law. Such violations, however, can apparently be covered over because of the B’nai Brith’s influence over the content of our media and over the activities of so-called law enforcement agencies. Allow me to address more fully how the B’nai Brith initiated this targeting of me beginning in late August. The key to the whole operation was the planting on, and then removal of, a very offensive image on my FB page, an item I did not invite, sanction or even see until after much of the preconceived damage was already done. Through my own research leading me to correspondence with Ben Garrison, the cartoonist whose face was photoshopped into the offending image, it appears the individual at the originating point of the creation of the offending image and text is Joshua Ryne Goldberg. See my original literary effort to see in more detail what had happened before Ben Garrison sent me the Goldberg revelation. That attribution of these words as if they originate with me rather than Joshua Goldberg is actionable and slanderous. Farber’s disgraceful smear job article is illustrative of the length’s the B’nai Brith/Canadian Jewish Congress complex of agencies will go to thehe dark political agenda of both creating and then seeming to fight the imagery of genocidal anti-Semitism. In spite of my renouncing the text, B’nai Brith agents fronted by Ryan Bellerose persisted receiving obvious help and support from media collaborators like the Canadian Broadcasting Corporation’s David Gray. Gray and Bellerose are prominent among those that persisted in using the Goldberg item with its disgusting text to be set the framework of a sensational media witch hunt in Alberta. This witch hunt developed very quickly to the point that I was illegally suspended without pay at the University of Lethbridge within less than a week of the original Bellerose/Gray smear job on Sept. 30 on the airwaves of Canada’s public broadcaster. I am raising the alert that in my view the CBC has essentially been taken over by a local agency of the same foreign power that has taken over the administration of the University of Lethbridge. There has been no due process by a third-party adjudicator to assess the flood of accusations flowing into the Office of the U of L President based on the disinformation that I had somehow sanctioned the “Kill All Jews” message the B’nai Brith and its collaborators put on me. How interesting that the text is said to be written by Joshua Goldberg. My skeptical mind wonders if he Goldberg personae is not some sort of deceptive behind which there are lawyers producing text that could be used to advance hate speech allegations that would meet sections 318 and 319 of Canada’s criminal code. I have every right and need to be extremely skeptical of any official story of what is going on here, even from Ben Garrison who wrote me once but then did not reply to my reply. The allegations against me appeared formally on Oct. 3 in the very same document that also included the main punishment imposed on me instantaneously by presidential dictate. In the Oct. 3 letter I was summoned to a meeting to take place only hours later. I was commanded to appear before the U of L President’s academic equivalent of a military tribunal “to explain why a suspension without pay of your duties and privileges as an academic staff at the University of Lethbridge is not in order while the University assesses the purported contravention of Section 3 of the Alberta Human Rights Act.” The surprise command to attend the imminent meeting put me in a conflict. The assigned time was the exact same moment that I had scheduled to see a lawyer, to see if he or she would be suitable to retain. Things have been moving very quickly, way too quickly, probably by design. Taking time to write this narrative is important. I need it to counter the strategy of moving both me and the media-consuming public along so fast that there is no time to assess the nature of the original crime against me by planting this poisonous text and image, then the B’nai Brith’s very fast, prolific and insidious response and then the illegal actions of my employer. Certainly the B’nai Brith home constituency, encouraged unrelentingly to submit letters and petitions to the U of L President’s office calling for my head, were given ample opportunity to understand their assigned role. I on the other hand was kept in the dark only happening by a chance google search on what had been happening. It took a while to figure it out, let alone react appropriately, to what was transpiring first on my facebook page while initially while I was visiting my friend and colleague in Lawrence Kansas. As far as going to the Internet my preoccupation in the available time between meetings at the public library was to prepare for, and do on August 27 an item on the immigrant crisis in Australia. The comments section is worthy of consideration. One implication of this punishment is to bring the academic institution of tenure, a key protection of academic freedom, to an end in Alberta. What does tenure mean if senior administration can sideline a working tenured professor at a whim with no due process or prior arbitration by a third-party whatsoever? One of the three accusations against me according to President Mahon is that I have violated the Alberta Human Rights Act by “inferring that Israelis, and hence Jewish individuals, were responsible for the terrorist attacks on the World Trade Centre [sic] on September 11, 2001.” Another allegation is that my Facebook page has been the site of “virulent anti-Semitic comments.” It seems not to matter to President Mahon that I am the victim, not the perpetrator, of the insertion and then Facebook’s removal without notice to me of Joshua Goldberg’s horrendously offensive aggressively genocidal image and text. You are hereby immediately suspended without pay from all duties and privileges as a member of the academic staff at the University of Lethbridge, including any and all duties and privileges associated with teaching, research, and community service. During this suspension you are also prohibited from using your affiliation with the University of Lethbridge, and are further prohibited from attending at any University of Lethbridge campus. Where is President Mahon’s equivalent to a restraining order from a Judge? It seems that Pres. Mahon assumes he himself is judge and jury and that he speaks on behalf of the Alberta Human Rights Commission as well as the University of Lethbridge. I interpret these sweeping dictates as a reflection of the bending of Dr. Mahon and the U of L’s Board Chair, Kurt Schlachter, to make themselves instruments in the investigation of me called for in the petition campaign of the B’nai Brith. Is the University curriculum of tomorrow to be decided by petitions, popularity contests and arbitrary assertions of police powers? I suspect that the power brokers in an around the B’nai Brith are somehow pressuring the U of L administration through the carrot and stick of university funding, either through Zionist influence on the Alberta government or through channels of corporate funding or both. Whatever is going on, I have suddenly been ensnared in a phenomenon that I studied and wrote about in August of this year. Beginning with my analysis of the debacle at Oberlin Liberal Arts College concerning Facebook posts and the suspension with pay of Dr. Joy Karega, I surveyed a phenomenon that I describe as the campus havoc being wrought by the attacks of Zionist thought police. I did this work, in part motivated by my anticipation of the B’nai Brith attack which in fact did wash over my academic post as the new term started in September. The Lethbridge Herald is part of a chain overseen by media mogul David Radler, Conrad Black’s former partner in Hollinger International. Richard Perle, a pivotal figure in the Israel First post-9/11 war cabinet of US President George W. Bush, worked closely with Conrad Black in the era when Hollinger International was one of the main print media empires in the English-speaking world, including through ownership of the influential Jerusalem Post. As their media empire went into decline both Radler and Black went to jail, Radler for a shorter sentence than Black after the former turned state’s evidence to convict Conrad Black of various offences in the United States. My experience of the last few days illustrates the larger ADL/B’nai Brith policy of trying to ruin the careers of faculty members that include perspectives critical of the Israeli government in their academic enterprises of teaching, research, publication and community service. I count myself among that menaced group of scholars. One indication of the elaborate machinery of Zionist thought control over what is taught on campus and who can do the teaching is the content of a web site, Canary Mission. In my estimation the other side of the pro-Zionist position on full display at Canary mission is the anti-Muslim, anti-Arab, anti-Persian biases that plague this dossier assembly service. It has emerged as very much a part of what some have dubbed the “Islamophobia Industry.” Things have advanced far since the days when the Rupert Murdoch’s media empire was a primary vehicle of the psychological warfare interwoven into the strategic fabric of the so-called Global War on Terror GWOT). This GWOT was initiated through the implementation of the lies and crimes of 9/11. The Canary mission dossier on me seems especially hostile to my interviews commenting on an array of news stories being reported at the invitation of Press TV. In my view, my regular commentaries for Press TV lie well within the mandate of the kind of community service and public education that is, or at least should be, part of the work of a senior professor. Surely I do not speak the same way in the classroom as I do on Press TV. The Iranian state broadcaster, Press TV, has a different kind of audience than the ones I might find in a Canadian university classroom. In 26 years of teaching evaluations I have never even once to my memory encountered a single comment that I am “anti-Semitic” or even “anti-Israel.” No doubt however, such “complaints” are being busily engineered right now in the joint effort by the B’nai Brith in partnership with the administration of my University. The aim quite clearly is to drive me from campus and away from my teaching responsibilities, to silence and discredit my voice as that of a credible public intellectual. Nevertheless I remain in spite of the various dictatorial impositions put on me by Dr. Mahon a suspended and tenured full professor at the University of Lethbridge in Alberta Canada. To me, my foremost professional responsibility at this juncture, where I find myself to be concurrently a suspended and tenured professor, is to defend the institution of tenure, a necessary pillar of academic freedom. In this task I hope to be able to work especially with those faculty members and students and regular citizens who are well aware of the high stakes nature of what is transpiring. MP: Do you describe yourself as a holocaust denier? We need to be clear that everything is open for discussion, for debate, for reconsideration with careful reference to existing evidence or new evidence as it becomes available. It is especially important that we in the academy maintain and defend the position that no subject of study should be declared out of bounds, outside the real of eligibility for robust evidence-based debate. We in the academy have an important responsibility to see that we defend the values of science even when it comes to evaluating sensitive and fraught issues where historical interpretation and current public policy are inextricably linked. In this context I would rather see more emphasis on the concept of Shoah, a phrase well understand by Hebrew speakers and by Palestinians who see their Shoah as a continuation of the Nabka right up to the present day. The term holocaust, which is rooted in a Greek term for burnt offering, should in my opinion be understood as a plural rather than a singular concept. My understanding is that the word holocaust can, like the related term “genocide,” be applied in a number of contexts to describe lethal tragedies of history and lethal tragedies that are occurring right now. We live in a time when death by high-tech military fire is being inflicted on millions especially throughout Eurasia and the Middle East, the part of the world inhabited by many majority Muslim populations. The term holocaust can be correctly applied especially to the contemporary plight of the minority of the Palestinian population that continue to reside in the historic land of Palestine, the Aboriginal home of the stateless Palestinian people. These people are subjected to a concerted Israeli campaign of so-called ethnic cleansing, another term for genocide. I recall as a teenager in the 1960s frequently hearing and seeing the term “holocaust” applied to the prospect of nuclear war. The possibility of a full-fledged nuclear holocaust is perhaps more imminent at this moment than at any time in history including at the height of the Cold War. Since the atomic holocaust of Hiroshima and Nagasaki in 1945, all humanity has been united by the awful prospect that all life on this planet could all be snuffed out in an instant. The expansionary policies of Likudnik Israel are integral to the destabilizing forces threatening to subject all living beings on earth to a nuclear holocaust. I think it would be correct to describe the genocidal experience of Indigenous peoples in the Americas as a holocaust. Indeed there is an important book devoted to the subject entitled American Holocaust. The treatment of Aborigines in Australia could similarly be described as an Australian Holocaust. Terrible atrocities were committed against Jewish people in Europe in the course of World War II. There is plenty of historical evidence of that. There are also aspects of various Jewish holocaust narratives that do give rise to the need for some resort to issues of evidence and nuances of interpretation. Those atrocities committed against European Jewry figure importantly in the history of the 60,000,000 casualties of WWII that surely qualifies as a holocaust in its own right. I want to draw in my response to this important question on my reflections on the recent experiences of my friends, Alfred and Monika Schaefer. Alfred Schaefer resides in Germany where he is being swept up in a travesty of criminalization of revisionists that is incompatible with any sense of free speech and freedom of dissent in a free and democratic society. Alfred was behind the camera and Monika was in front of it in the production of the You Tube video, Sorry Mom, I Was Wrong About the Holocaust. As I am writing this commentary, the 6 minute simple video has received about 100,000 views with likes dominating over thumbs down by a ratio of about three to one. I think it is perfectly fair for individuals to agree or disagree about the content of the video. I myself do not accept the blunt assertiveness of some of Ms. Schaefer’s contentions. Why can’t we accept, however, that even when it comes to all topics but especially sensitive topics we must accept some disagreement as a necessary condition of living together peacefully in complex societies. Shouldn’t we embrace the possibilities for compromise, growth and possible resolution that disagreements sometime present? In the case of the disagreements arising from the Sorry Mom video, they must inevitably lead back to some reckoning with evidence underlying the various contentions. Such reckoning surely should be understood as a normal feature of our ongoing dialogue in the unfolding present with the evidence and understanding of what happened in the past. Surely such a reckoning is a necessary and normal attribute of healthy societal evolution. What seems to me, however, to be very wrong is for those in positions of power to heap recriminations on those with whom they disagree by appointing themselves as thought police to decide unilaterally what are or should be community norms. To move from the abstract to the concrete, I have made no secret of the fact that I disagree with the propriety of violinist Monika Schaefer being denied a busking permits or a right of entry to a major musical performing venue, the Royal Canadian Legion, in Jasper National Park. What other type of issue would cause officials to act arbitrarily to punish a citizen because he or she does not like the content of a video in which he or she was involved? More recently Monika Schaefer has been ejected from the Board and from the position of an instructor at the violin teaching camp of the Alberta Society of Fiddlers (ASF). By doing so the ASF has ceased to priorize the promotion of the arts by in Alberta by giving its highest priority to some self-appointed task of thought policing the ideas and interpretations of a prominent member of Alberta’s artistic community. What next? What kind of precedent is being set? This development bodes poorly for the future of Canada and Alberta under the leadership of Prime Minister Justin Trudeau and Premier Rachel Notley respectively. To me the treatment of Monika Schaefer in Jasper National Park and in the provincial sphere of the ASF should be seen as a marker for the world that Canada is not the free and open and democratic society it is sometimes portrayed as being. The unfair and probably actionable treatment imposed on me at the hands of the administration of the University of Lethbridge and by Canada’s public broadcaster at the urging of B’nai Brith Canada points in a similar direction. Canada is becoming a place of oppressive arbitrary actions extending now to an assault on the academic institution of tenure, an assault I intend to resist in the interests primordially of the students and faculty at the University of Lethbridge. The reckless deployment of the weaponized term, holocaust denier, should be exposed for what it is, namely a dangerous device deployed to harm, silence and undermine critics of Israeli expansionism, both territorially and in terms of international influence. This expansionism is extending to a holocaust of mass murder, maiming and uprooting of peoples on the frontiers of the expanding frontiers of what is known as Eretz Israel, Greater Israel. MP: How do you compare criticism of Zionism and being charged with anti-Semitism? Zionism has a fairly precise meaning as the movement from which the establishment of the Israeli entity emerged in steps, but particularly with the Declaration of Lord Balfour to Lord Rothschild in 1917 and with the UN Resolution 181 in 1947-48. Within Zionism there are many factions and camps. On the right-wing extreme is Revisionist Zionist, the roots of the extremist ideology that PM Benjamin Netanyahu currently draws upon in his role as leader of the Likud Party and Prime Minister of Israel. At another pole is Labor Zionism, kibbutz-style Zionism. Labor Zionism has mostly gone into retreat since the breakdown of the Oslo accords process in the mid-1990s. When I was at York Mills Collegiate in Toronto in the late 1960s I heard much about Israel as a place of socialist kibbutzim. Many of my friends visited these kibbutzim during summer holidays and came back to tell very positive stories about what they saw, heard and learned in these places. These days I don’t hear much about kibbutzim. I hear more about very right-wing settler populations who are in the political ascendance in Israel. This expansionary trend, which violates international law in a number of ways, has led to the rise of a transnational movement of resistance. This pushback on Israel’s expansion into land set aside by the UN for an Arab state goes by the name of Boycott, Divestment and Sanctions (BDS). The success of many BDS campaigns, which have become especially vibrant on some university campuses, is a factor that has prompted Zionist intervention at my school and at many other schools and universities throughout the so-called “West.” The aim of this Zionist intervention is not to advance free speech and open exchange but to limit speech, control the curriculum and make it impossible for scholars like me to continue our academic work. The term “anti-Semitism” has far less specific meanings than the term Zionism. I have come to see the term, “anti-Semitism” as being weaponized, often to carry out Zionist-directed ritual defamation such as that currently being applied to both Monika Schaefer and I. The term has both racial and linguistic resonances that can be applied to Arabs generically or to particular groups of Arabs such as the Palestinian people. Much confusion arises because the dominant group of Jews these days are of Eastern European ancestry. As I understand it, those emerging from this Eastern European stream of Jewish history call themselves Ashkenazi. The charge by the Ashkenazi-dominated Jewish State that its critics are “anti-Semitic” really breaks down especially when those critics are Palestinian or those that see, regardless of their background, the international efforts to aimed at achieving Palestinian self-determination through state formation as noble and legitimate. Especially problematic is Ashkenazi name calling as “anti-Semites” of those Palestinians who persist against great odds in living on their Aboriginal territory or even in the Diaspora. Similar problems apply when predominantly secular and Ashkenazi groups such as the B’nai Brith try to denigrate and demean those that stand up for Palestinian rights as “anti-Semites” when Palestinians have the greater claim of actually being Semites. By and large my analysis is more focused on the Zionist threads of Jewish history, although obviously the phenomenon of Zionism is set in broader contexts that require the application of various contested nomenclatures in a very fraught realm of scholarship. Here it should be noted that not all Jews are not Zionists and that all Zionists are not Jews. Former Canadian Prime Minister Stephen Harper, for instance, is definitely a committed Zionist although he is Christian not Jewish. Similarly many Jewish rabbis are very hostile to making Judaism the basis for statecraft rather than treating Judaism as the basis of religious devotion rather than a means of building up a state apparatus. I noticed that J.W. Scharr is his LH hit piece in the Lethbridge Herald of September 29 referred to me in a headline as “allegedly spreading Anti-Zionist propaganda.” From my perspective, it is Mr. Scharr, Mr. Bellerose, Mr. Gray and perhaps Dr. Mahon who have given themselves over to the business of spreading propaganda. I have the credentials of an academic. I don’t use my credentials as a platform but rather I continue the process of lifelong learning which for me is also my professional calling. My aim is to continue to move towards the truth as best I can, even when facing the propaganda blitz to which I am currently being subjected here in Canada. MP: What do you think about B’nai Brith’s actions to repress criticism of Zionism in universities? I think what is currently going on at the University of Lethbridge, where the institution of tenure is being actively attacked by my suspension without any due process whatsoever, illustrates well that B’nai Brith’s role in University governance should be minimalized, not maximized. MP: Do you think Canada is facing a free speech problem? Yes. Definitely. The constant harassment of Arthur Topham and his RadicalPress.com, where some of my essays on Aboriginal rights were published in the late 1990s. 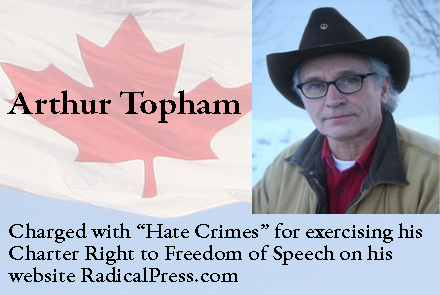 illustrates a far broader, more pervasive and more corrosive assault on our basic rights and freedoms in Canada. MP: How were you personally affected by the “thought police”? I do not want to mention that …. Was taken aback and somewhat embarrassed about a cartoon of you on Reddit Lethbridge. I told him not to look at anything else on line. I am getting more and more angry that this group is spreading hate that upsets my sons with over-the-top accusations about their holocaust. They are on my and my sons’ indigenous lands, which they continuously benefit from the resources gained at the expense of the genocide and thievery from my children’s ancestors. Here is the cartoon my son the military man serving his country found on the Internet. Yes its affecting not only me but a lot of people personally. The affected parties include many who have been provoked by the B’Nai Brith-planted image engineered by Joshua Goldberg or whoever exploits his web personae to produce a calculated responses of revulsion. I am not blaming those who responded as the B’nai Brith calculated its core constituents would. They too are, in a way, innocent victims of this very telling illustration of the nature of the deceptions currently allowed to rule our world with the help and complicity of very corrupt organizations like the Canadian Broadcasting Corporation. I blame first and foremost the engineers of this psychological operation that very well might include the directors of of Facebook. It has been widely reported that the logistical core of Facebook’s massive social media network is to be further devoted to propaganda purposes. Facebook’s headquarters and main “security” platforms are being transferred to Israel. Dr. Hall is editor in chief of American Herald Tribune. He is currently Professor of Globalization Studies at University of Lethbridge in Alberta Canada. 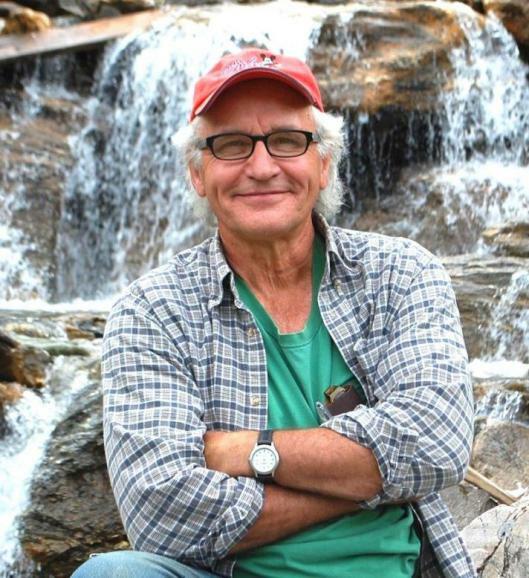 He has been a teacher in the Canadian university system since 1982. Dr. Hall, has recently finished a big two-volume publishing project at McGill-Queen’s University Press entitled “The Bowl with One Spoon”. The Canadian Association for Free Expression (CAFE), founded in 1982, is Canada`s most active free speech advocacy group. I write to express our grave concerns about the recent suspension without pay of Professor Anthony Hall who teaches Globalization issues. This brutal measure, seemingly without a trial or hearing or opportunity for Professor Hall to explain his point of view, violates both academic freedom and due process and fairness. Ben Garrison had his life ruined by trolls like Goldberg, who vandalized Garrison’s cartoons to make it appear that Garrison was a rabid Jew-hater. 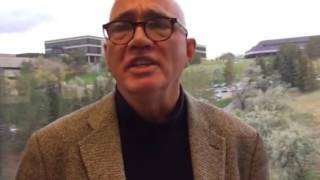 Now Goldberg’s hate speech has damaged another man’s career and reputation: that of Professor Anthony Hall, Globalization Studies, University of Lethbridge. Mainstream media outlets including CBC and the Lethbridge Herald accepted B’nai Brith’s false narrative that Professor Hall was responsible for Goldberg’s planted image. Professor Hall has blamed Israel for 9-11. At a recent meeting between the provost and the dean at the University of Lethbridge, Professor Hall inquired whether either was Jewish. This was an entirely proper inquiry as to possible bias, as Professor Hall’s main tormenters are the League for Human Rights of B’nai Brith. Clearly, it didn’t take the university long to hop to the order of B’nai Brith and betray your mission to protect scholarship and freedom of speech. Within days you sought to oust this tenured professor. Over 60 years ago, the Catholic Church in Quebec exercised a heavy hand in censoring professors at French Canadian universities, even leading to the exclusion of future Prime Minister Pierre Elliott Trudeau for his leftish views. Recent events seem to point to the replacement of the Catholic Church by B`nai Brith as religious arbiters of what can be said and believed on campus. I urge you to rethink the university`s position and reinstate Professor Hall with full pay. Canada needs more free speech, not less, and more divergent thinkers like Professor Hall, not fewer. Write, fax, or phone: Mike Mahon President & Vice-Chancellor A762 University Hall, University of Lethbridge, Lethbridge, Alberta, Canada T1K 3M4. Phone: (403) 329 -2201. Fax: (403) 329-2097. A Florida man named Joshua Goldberg – who has already been arrested for conspiring to commit false-flag “Islamic terror” – may soon be charged with yet another crime: The creation of a horrific “kill all Jews” image that is currently under investigation by Canadian police. Joshua Goldberg, arrested for trying to incite false flag “Islamic terror,” may be re-arrested for hate speech…alongside his accomplices at B’nai Brith? The image was planted on Professor Anthony Hall’s Facebook page in late August. The Canadian B’nai Brith falsely blamed Hall, who had no knowledge of the image, and used the scandal to push for Hall’s dismissal from the University of Lethbridge. Today, caving in to the B’nai Brith’s libelous attack, University President Mike Mahon suspended Anthony Hall without pay. For Professor Hall’s reaction, see youtube video at https://www.youtube.com/watch?v=Z4JKdO1zW24 (Duration of video is 5 minutes 45 seconds). The photoshopped image, manufactured by Goldberg, purports to depict political cartoonist Ben Garrison choking an Orthodox Jewish man. Accompanying the image, in small print, is an unhinged “kill all Jews now” rant. In an article published here on September 16th, I speculated that rabid Zionists, rather than rabid Jew-haters, had manufactured the image. It turns out I was right. Ben Garrison had his life ruined by trolls like Goldberg, who vandalized Garrison’s cartoons to make it appear that Garrison was a rabid Jew-hater. Now Goldberg’s hate speech has damaged another man’s career and reputation: that of Professor Anthony Hall, Globalization Studies, University of Lethbridge. Here is my letter sent to Lethbridge University President Mike Mahon this morning before receiving news of the suspension without pay. I’m writing in response to the ongoing orchestrated attack on Professor Anthony Hall. The smear campaign against Professor Hall is an attack on the entire academy. Its purpose is to terrorize academicians into remaining silent on controversial issues. If successful, the media lynching of Professor Hall would grossly undermine academic freedom, especially the institution of tenure. The lynchpin (no pun intended) of the anti-Hall campaign is a horrific image that was planted on Professor Hall’s Facebook page – unbeknownst to Professor Hall, who had absolutely nothing to do with that image. The grossly offensive image, which features a Jewish man being strangled alongside ultra-inflammatory text calling for the killing of “all Jews,” was in fact created by an allegedly self-employed propagandist named Joshua Goldberg, who was later arrested for his efforts to create incidents of so-called “Islamic terrorism.” Obviously Joshua Goldberg created his horrific “kill all Jews” image not because he himself is anti-Jewish, but rather as a way to manufacture false evidence of “anti-Semitism” that could later be used against people like Professor Hall. 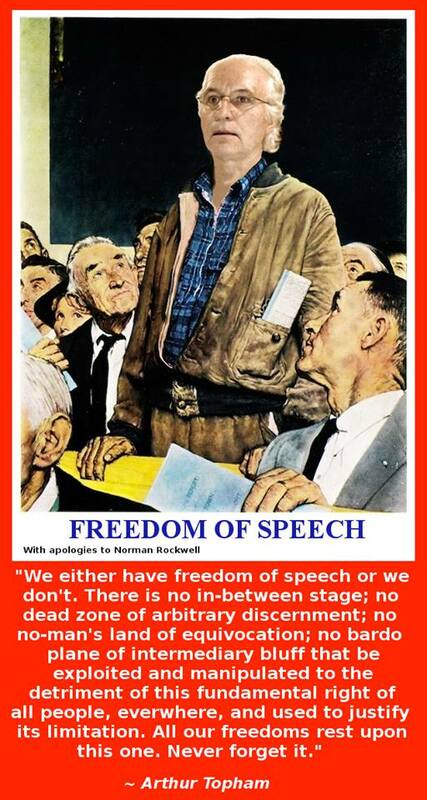 Goldberg appears to have created this awful image precisely to fit the definition of hate speech. It is a weaponized image. The weapon was used against Anthony Hall in precisely in the way its creator intended. When planted evidence is used against a victim, it is the criminals who manufactured and planted the evidence, not the victim, who are at fault. Joshua Goldberg, B’nai Brith, and the individual or entity who planted this hate speech on Professor Hall’s Facebook page all ought to be investigated for their respective roles in this orchestrated smear campaign against Professor Hall. The institution of tenure exists for one reason and one reason only: To ensure that even the most controversial avenues of research and interpretation are fully protected in our academy. Professor Hall is using his tenure properly. Are you? Is anyone else at the University of Lethbridge? If not, why not? How can you, or any other professor, justify holding tenure if you are not, in fact, making every possible effort to challenge the most sacrosanct public myths, and to pursue the most controversial avenues of research and interpretation? Professor Tony Hall is being pushed out of the University of Lethridge, Alberta by B’nai Brith. He is a professor of Globalization studies and they don’t like his views on history. On Monday, this freethinking tenured professor was informed that he was to attend a meeting Tuesday where he would be suspended WITHOUT pay. As a tenured professor this treatment is outrageous if not illegal. As has happened in some many cases — Brian Ruhe among others — the thought police of B’nai Brith seek to suppress critics of Israel by having them fired, by impoverishing them. 1. “Virulent anti-semitic posts on Facebook.” These occurred during a time Professor Hall was travelling. Facebook removed them. Someone planted them or hacked his account. He completely repudiated them. 2. Professor Hall has blamed Israel for 9-11. 3. At a recent meeting between the provost and the dean at the University of Lethbridge, Professor Hall inquired whether either was Jewish. This was an entirely proper inquiry as to possible bias, as Professor Hall’s main tormenters are the League for Human Rights of B’nai Brith. Clearly, it didn’t take the university long to hop to the order of B’nai Brith and betray their mission to protect scholarship and freedom of speech. Within days they are seeking to oust this tenured professor. Freedom supporters, e-mail the university president today and insist that this taxpayer supported institution honour tenure and support freedom of speech and “diversity of opinion” and immediately rescind the suspension of Professor Hall. Welcome! This video is of Brian Ruhe being interviewed by Paul Fromm, Director, Canadian Association for Free Expression. This is about how a representative of the powerful Jewish organization, B’nai Brith attacked Buddhist teacher Brian Ruhe in August and September 2015. A senior B’nai Brith member, Harry Abrams, posted a comment on the blog following this article stating that we wrote to the Parks Board to get Brian fired from his teaching jobs. On Sept. 14th, Brian received his first phone call informing that he was fired from the Roundhouse, as described in this video. On Sept. 16th another community centre supervisor called Brian to inform him that his courses were canceled after 16 years at the Kitsilano Community Centre as well as at the False Creek Community Centre because of “low enrollment” even though his course at False Creek was not due to start until October 1st and there was plenty of time to promote the course! It has been close to a month now since I last posted an article. This is a rather long time given the usual amount of information regularly furnished to the site and it requires further explanation. Since the end of April I have been caring for an older brother of mine who came down with a serious case of melanoma (skin cancer). Being on his own and handicapped and living in North Vancouver I had little choice but to spend a great deal of time away from my home in Cottonwood, B.C. (approximately 700 km NE of Vancouver). My dear brother David passed away on July 1st and since that time I’ve been dealing with all the legal matters associated with his death. All of this has taken a heavy toll on my time and energy and prevented me from carrying on with my normal line of work, i.e. exposing the Zionist New World Order agenda and defending myself against the spurious, politically-motivated Sec. 319(2) CCC “hate crime” criminal charges that were brought against me back in May of 2012 thanks to the machinations of B’nai Brith Canada and its agents working for the Jewish lobby. It was during one of my trips to the coast that I attended the hearing being held in the B.C. Supreme Court in Vancouver in June. That event and the outcome of it will be the subject of my next Legal Update. Suffice it to say here that the judge hearing the case, Justice Butler, declined to allow the Charter challenge to proceed prior to the pending trial set for October 26th, 2015. What this means is that the case will proceed to trial although it is still uncertain as to whether or not the actual date set will remain fixed. This is due to the fact that now that the Charterapplication has been refused and the majority of the funds raised in order to pay counsel to represent me at the hearing are exhausted I am faced with having to raise another substantial amount of money in order to retain counsel for the actual trial in the fall. What that amount will be is not determined at this point. My current counsel was acting on my behalf on what in legalese is called a “limited retainer” which means that he was hired only to deal with the Charter application. The trial itself, which could run for ten days, will require additional funding upwards of possibly $40,000.00. The exact amount is still undetermined at this stage but it means that I will have to re-apply for another Rowbotham application in order to assist me in paying the cost of hiring counsel. The procedure for doing a Rowbotham was initiated back in June when I approached the local Legal Aid office here in Quesnel and, as per their unreasonable policies, was refused based upon the amount of donations that I was receiving at the time. I then wrote to the provincial office in Vancouver requesting that they reconsider their decision and I am currently awaiting word from the head office. When they reply and refuse me a second time (which they inevitably do) then I can proceed with the Rowbotham application. Time of course is running out and it does take time to jump through all the legal hoops involved in applying for funding in this manner for the Attorney General’s office is not about to assist me in hiring counsel when, at the same time, they are hell-bent on convicting me of this spurious, politically-motivated “hate” charge. So the outcome of this next stage of developments is still very tentative and uncertain. If I cannot come up with the funds then I will be left with only one recourse and that will be to represent myself. My GoGetFunding account is still active for those who may wish to assist in helping me to defray the cost of retaining their constitutional right to freedom of speech here in Canada. It will be a tough row to hoe to raise another $35 to $40 thousand dollars to fight this Zionist-created creature in the courtroom but one way or another the challenge must be met if Canadians wish to retain their most valued and fundamental right. One final word on the planned Legal Update. I’m still not sure of my schedule over the next month or so as I am awaiting word from the lawyer who is dealing with my brother’s estate. I am currently at home but could be forced to return to North Vancouver any day and then my ability to focus on the update will undoubtedly be delayed. My apologies to readers for all of this extra hindrance and the lack of posts. Hopefully this will return to normal in the next while.